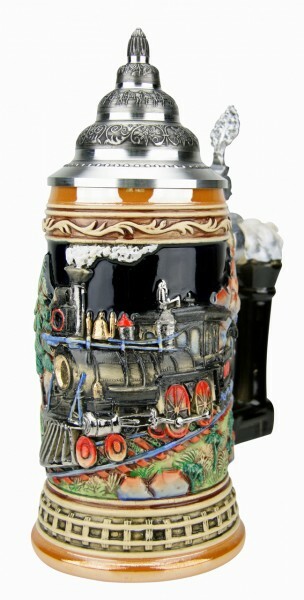 Product information "Train beer stein yellow painted"
A steam locomotive trainin very nice detailed. The steam goes to the back of the handle and end with an 3D effekt! A must have for all train lovers. Get this stein engraved on its lid an make it a even more speciall present. Related links to "Train beer stein yellow painted"
Customer evaluation for "Train beer stein yellow painted"